The proposed project consists of a three -lane roadway and the construction of a new bridge across the Santa Cruz River along with an at-grade intersection with the existing I-10 eastbound frontage road. 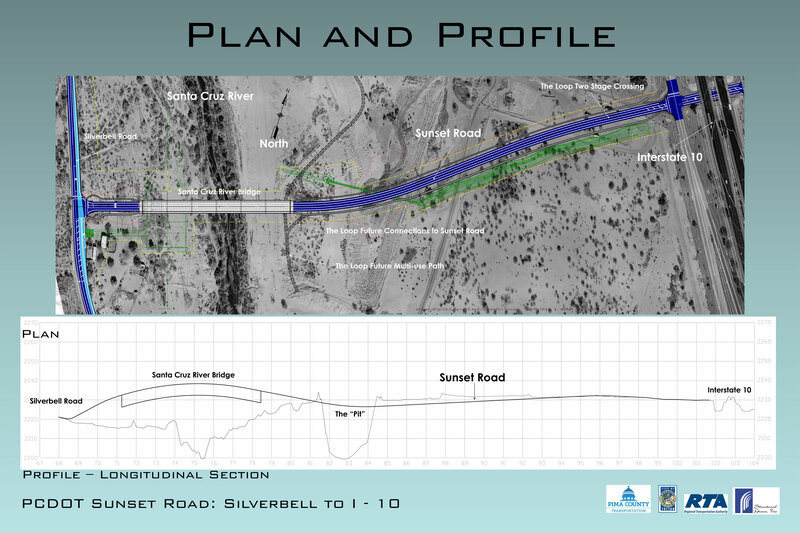 The project also includes intersection improvements and turn lanes at Silverbell Road and at Sunset Road at I-10. The project is expected to be completed by spring of 2017.